All guides are issued as free pdf ebooks that can be read on screens and tablets as small as seven inches. Click on cover illustrations to be taken to the introduction and download page. 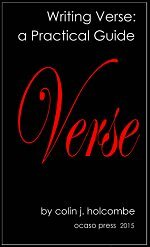 A free 568-page book on verse writing as an art form — a practical guide to writing verse in traditional, Modernist and Postmodernist styles. 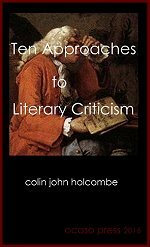 Illustrated with copious examples ranging from Chaucer to contemporary American poets, plus hundreds of Internet links, this guide bridges the gap between self expression and the production of professional work worthy of detailed literary study. An expanded version of this popular book that now includes more information on Modernist concepts and the translation of poems from European and Asian languages. 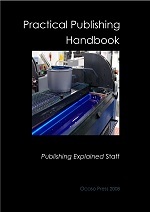 A free guide to publishing in traditional, electronic and webpage forms. Covers fiction, nonfiction and poetry submissions, plus traditional, e-book, PoD, Kindle, Amazon and internet publishing and self-publishing. If you really want to get that book or article published, this reference work may well prove a lifesaver. You'll have a map of the entire publishing world, traditional and contemporary, and will be able to choose the publishing or self-publishing route best suited to your time, talents and financial requirements..
A concise guide to the schools of literary criticism: some seventeen schools are noted in this 150 page free guide, and ten schools covered in some detail — traditional, the new criticism, rhetoric approaches, stylistics, metaphor approaches, Poststructuralist, myth criticism, Freudian, Jungian and fractal approaches. All are illustrated with a worked example and supported with extensive book and Internet references. A Background to Critical Theory places current approaches in the wider context of aesthetics, science and political economy. 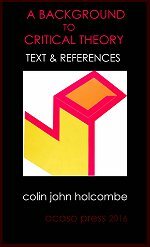 Written as 45 evaluative, jargon-free and largely self-contained chapters, this 170,000 word study surveys the theories of art and writing, linguistics and linguistic philosophies, the concept of truth in science, literature, mathematics and logic, the rational and irrational philosophies of Kant, Hegel, Nietzsche, Barthes, Derrida, etc., suggestions from brain functioning and many other matters that have a tangential but important bearing on how we judge literature.